This article is a guide for buying property in New Zealand, for people that are currently living outside of New Zealand. We as New Zealanders are famous for our wanderlust. We travel overseas in droves to learn about ourselves and our heritage while aspiring to land a job that will earn us valuable overseas currencies. When it’s time to return home, expats will often have enough money saved for a deposit on a house. Here are our tips on buying property in New Zealand. The lure of working overseas after university is strong. New Zealand is such an isolated country it makes sense for those with wanderlust to relocate temporarily overseas as a base to travel. Oftentimes, relocating overseas is also a great way to give your career the springboard it needs to succeed, which can be lucrative, especially when it comes to exchanging back to New Zealand dollars. It may not be enough that you qualify to work in New Zealand with a work visa or residence visa. If this is you, check this website to see if you qualify to purchase. If you’re earning in Pounds Sterling, Euro or Australian Dollars, you could be surprised at how much you could have saved when you’re ready to move it back to New Zealand, especially if you catch the foreign exchange market at the right time. Foreign exchange rates fluctuate a lot so it’s advisable that you watch the market. A good way to make sure you get the best exchange rate is to look at the historical trends by using a tool like dailyfx. It will give you a timeline of the exchange rates so you have a good idea when the time is right to transfer the money. 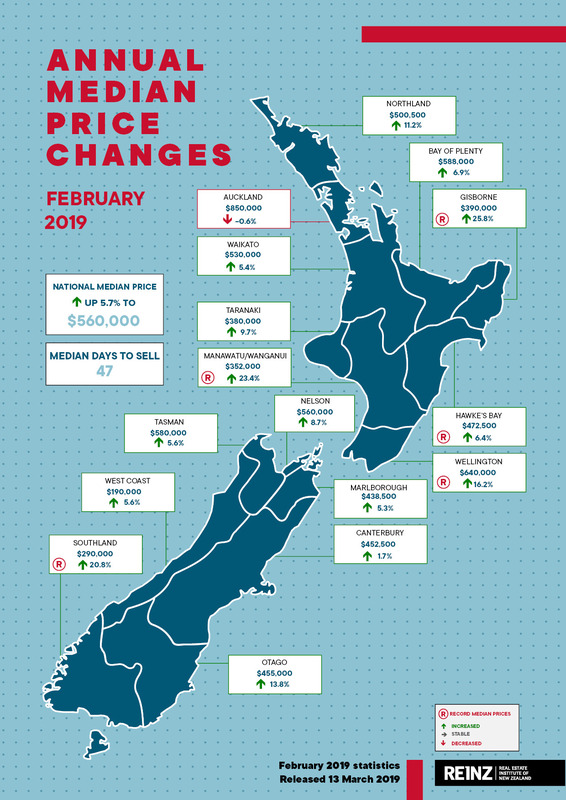 A quick analysis of historical trends and current exchange rates will help you to make better informed decisions, allowing you to choose market conditions that are favourable for transferring your money to New Zealand. Documentary evidence could be required to satisfy AML obligations when sending large sums of money online. The Anti-Money Laundering Act was put in place in October 2009 and came into force in 2013. It requires you to provide proof of wealth and the documentation around how you obtained your wealth. Your latest bank statement and corresponding payslip showing your weekly/monthly income being paid into this account. A combination of the above may also be requested. An IRD number is also useful to have during this process. Once your funds have been cleared and are safe in a New Zealand bank account, you’ll need to speak to a Mortgage Broker to work out how much you can borrow. A Mortgage Broker will help you calculate how much you can borrow by looking at your credit rating, current employment situation and the amount you have saved. They will then consider how long you want to hold the mortgage for and what type of interest rate will best suit your individual circumstances. There are many brokers in New Zealand that will gladly help you apply for mortgages while you are overseas. In Wellington, Wellington Mortgage Brokers are a great choice as they’ve been around for many years and are trusted by many local agents. A real estate lawyer will help you comb through the fine print of contracts and literally ‘seal the deal’. Deal with the Sale and Purchase Agreement. This is the legal contract between the buyer and seller. Make sure you read the contract and understand the ‘fine print’. Deal with the seller’s lawyer. Your lawyer will ensure all of the conditions relating to the sale have been met. Manage the possession and settlement process. Your lawyer should manage the exchange of money and keys, as agreed between you and the seller. Assist you in establishing your mortgage. Your lawyer will assist you with your bank in arranging any mortgage that you may require on the property. Send notice to the local authority. Your lawyer will advise your council of the change of ownership. Also the lawyer will arrange for the apportionment of local rates charges between the buyer and seller. A good lawyer could cost anywhere between $700 – $2000 depending on the house that you would like to purchase. We highly recommend sourcing a lawyer and having them oversee the purchase of the house from beginning to end. The average house price in New Zealand is about $560,000, so when you are buying property in New Zealand, you will need a deposit of at least $112,000 or 20% of the buying price for a first home. For new builds, you may only have to pay a deposit of 10%. Remember to check to see if you’re eligible for the HomeStart grant. If you are purchasing an investment property, you will need to pay a deposit of at least 40% of the total cost. Your borrowing limit is a personal decision that has many considerations and associated sacrifices. Every person has their own aversion to leverage, so when you are scanning the property market, you’ll need to figure out what your personal threshold is. Sorted.co.nz has a great tool that can be used as a rudimentary borrowing guide. Mortgage brokers and real estate agents will have different views on what reasonable mortgage limits are. It’s really up to the individual to assess how much you are prepared to borrow. If you choose to buy a property in a New Zealand provincial town, the ‘¼ acre dream’ is still attainable. In some towns, like Invercargill and Masterton, you can purchase a large, stand alone house for under $400,000. In one of the 3 big cities (Auckland, Wellington and Christchurch) you should expect to pay much more than the national average to purchase a property that is a reasonable commuting distance from the CBD. When you have settled on a location to move, you can use the homes.co.nz tool to give you an idea of housing prices in various suburbs. It’s an interactive map that has previous sale prices and RV’s of properties in the area. There are so many housing options to consider that will all have an effect on your lifestyle for the next few years. The various types of housing will also have different price points attached to them, so a standalone house today might be a dream that you hold on until tomorrow while you get you leg on the property ladder with an apartment. An apartment is an American term for a home where you live (British English: flat) in a separate home within a large building where others also have their own home. Whether you are looking to buy a parcel of land on which to build a house or you are looking to buy land for investment proposes, a vacant lot has a number of advantages but is often found in the outer suburbs of a city. A low house having only one storey or, in some cases, upper rooms set in the roof, typically with dormer windows, often found in city suburbs. A townhouse is similar to a terraced house but is purpose built for inner-city living. There are tall and narrow buildings. They don’t have a lot of land around them and often only have very small gardens at the back. The best advice for finding the right style of house is to be open minded. Try to think 5-6 years in the future and make sure you choose the type of house that suits your desired lifestyle. Buying property in New Zealand can be a complicated, drawn out process. A timeless piece of real estate advice is: purchase the worst house on the best street. It’ll be much easier to make a tidy capital gain after you’ve lived in it for a few years and given it some good ol’ fashioned Kiwi DIY. What type of neighbourhood do I want to live in? Does it sit within zoning for reputable schools? Are there enough local amenities in my chosen neighbourhood? Limited local knowledge is another hurdle you’ll have to overcome if you’re moving to an unfamiliar city. There’s only so much google maps will tell you so the next natural step is to talk to a real estate agent. It makes sense that local real estate agents are going to be endowed with valuable local knowledge. They’ll talk you through what you need to know about various suburbs, access to schooling, amenities, historical prices and they’ll have an intimate knowledge of the surrounding areas. A good agent can easily tell you whether that property for sale is a lemon, or a diamond in the rough. Insurance is absolutely essential to have when you purchase a new house. It protects you against anything unexpected or bad that may happen. Insurance companies are quick to sell you their packages without telling you what is important for you, the house buyer. This makes it hard to know if it’s something that is in your best interest to buy. Purchasing an insurance package is a complicated topic that requires an article of its own to fully cover. Take a look at sorted.co.nz, they have an excellent guide for purchasing insurance for your new house. Enjoy the challenge of getting your foot onto the property ladder. It’s always a good investment that you’ll look back on in 10 years and be glad that you finally took the plunge.